This limited edition Bulkfiller is created to celebrate the 11th anniversary of the online platform Fountain Pen Network. 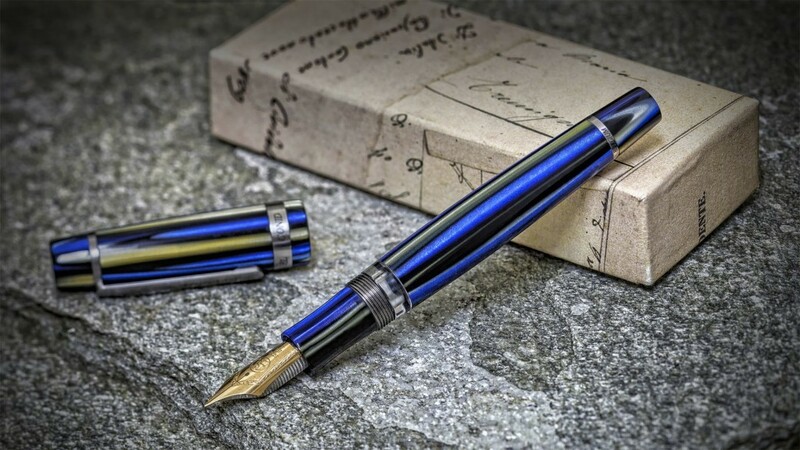 This international network is one of the largest fountain pen websites in the world and welcomes many fountain pen lovers to discuss, review and get more information about a broad variety of fountain pen brands on the market. Francis Goossens, our founding father and honoured member of the Fountain Pen Network designed this peculiar pen. 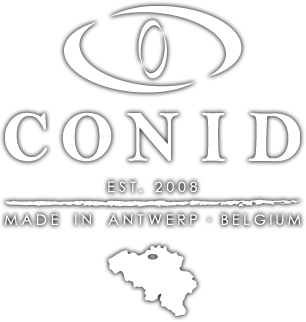 With this celebratory and exclusive limited edition, Conid hopes to mark FPN’s eminence and expertise in the field. The high quality unstressed Acryllic housing of the pen radiates a deep and intense colour scheme with hints of blue, green and yellow, covering the pen from the cap to the end. The tip of this pen is adorned with a magnificent 8mm nib in 14K gold. As always, all of the nibs are individually fine-tuned to fit the high and immaculate standards of the FPN public. The design of this pen is based on the Kingsize Flat top model and is equivalent to all of the Kingsize’s measurements and characteristics. It takes up to 3 ml of ink fit for long-lasting writing sessions and has an empty weight of 29,7 grammes, which makes it the lightest fountain pen in our Kingsize collection. The pen comes in our known metal CoBox in a unique bright blue colour, which fits the design of the FPN blue pearl. The pen came out in december 2015 and has been renowned for its unique and mesmerizing pearlescent looks, and ofcourse its writing comfort and high quality.